The Regulation of Mines and Oilfields and Mineral Development (Government Control) Act, 1948 (as amended in 1955, 1964 and 1976) and its related rules provide the basic framework for granting and management of mining rights in Pakistan. The Act and the rules are the main instruments of administration, compliance and dispute resolution in respect of Pakistan minerals. The Federal Government and the four provincial governments both administer the Act through their separate rules with respect to minerals assigned to them. Thus, the Federal Government administers the Act in respect of oil, natural gas and nuclear minerals, and the Provincial Governments administer it in respect of other minerals. At Federal Level the Ministry of Petroleum and Natural Resources and Director General Petroleum Concessions, which comes under the Ministry, regulate the mining industry. The Departments of Mines and Minerals are organized in three divisions for (i) Licensing (ii) Exploration Promotion and (iii) Inspectorate of Mines. Federal DG Petroleum and Natural Resources. The four provinces of Punjab i.e. Punjab, Baluchistan, Sindh, and KPK have their mining sector looked after by their local offices of the Director General of Mines and Minerals. Azad Jammu Kashmir (AJK) and Gilgit Baltistan are governed federally through the offices of the Director General of Petroleum and Natural Resources. Federal Government with the cooperation of provinces published National Mining Policy in 1995 and presently the main source of law is National Mining Policy 2013. Besides this there are many laws and statutes governing mining sector both at federal and provincial levels. For this purpose, an application is required to be made to the relevant authority for grant of a reconnaissance license. In case of minerals which come under the domain of Federal Government then application has to be made to Director General Petroleum and Natural Resources and in case of minerals falling in the administrative domain of the relevant Province (where the minerals are found) the application has to be made to Director General Mines and Minerals of that respective province. No proprietary rights are required and applications are entertained on a ‘first come, first served’ basis. R.82 of the ‘Rules’). The concession rules for all 4 provinces allow for a type of and exclusive’ reconnaissance licence based on certain conditions and financial standing of the applicant (KPK Mining Concession Rules 2005, Sindh Mining Concession Rules 2002, The Punjab Mining Concession Rules 2002, Baluchistan Mining Concession Rules 2002 hereinafter referred to as the ‘Rules’ for ease of reference in the rest of this document). A reconnaissance licence can only be for a period of 12 months or less. 2.4 Are different procedures applicable to different minerals? Under the National Mineral Policy 2013, minerals other than nuclear minerals and those occurring in special areas [Federally Administered Tribal Areas (FATA), Islamabad Capital Territory (ICT) and International Offshore Water Territory (IOWT)] are a provincial subject under the Constitution. Provincial Governments/federating units are responsible for their regulation, detailed exploration, mineral development and safety concerns in these operations, whereas geological/geophysical survey and mapping, national and international coordination and formulation of national policies and plans are federal responsibilities. In line with Constitution Article 172 (2) and 172 (3) as amended by the 18th amendment in 2010, the Federal and Provincial Governments jointly endorse this Policy, which provides for appropriate institutional arrangements, a modern regulatory framework, internationally competitive fiscal and regulatory regimes and a programme to expand Pakistan’s geological database. This policy document also emanates from the Constitutional position as laid down in Articles 70 & 97. The respective Government may, by notification in the official Gazette, make rules for the grant of mineral concessions/titles in respect of any mineral falling in its domain. Natural Oil and Gas fall under the domain of Federal Government and are not subject of Provincial decisions, although it has been suggested that the 18th amendment may have changed this position. The rules and procedures are also different for the Oil and Gas sector with framework being composed of yearly offshore and onshore Petroleum Concession Rules, Petroleum Policies and other laws. However the basic Act for both petroleum and minerals remains the Regulation of Mines and Oilfields and Mineral Development (Government Control) Act, 1948 (as amended in 1955, 1964 and 1976) and its related rules, which provide the basic framework for granting and management of petroleum and mineral mining rights in Pakistan. 3.1 Are there special rules for foreign applicants? Successive governments have sought to encourage joint ventures between foreign and local private investors. The relevant provincial governments have the power under the relevant provincial policies and rules to become a part of any mining project in the form of negotiated equity, participating interest, enhanced royalty rate or any other such sharing structure as agreed to by the Government and the mining company. According to the Mineral Concession rules of each province aliens and foreign companies are free to apply for exploring licences and mining concessions, but no mineral title can be granted to them until the foreign company is incorporated locally. 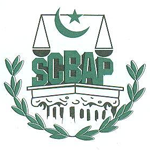 Also, if licensee or a lessee ceases to be a national of Pakistan or if a Company ceases to be incorporated in Pakistan, they need to notify the licensing authority within a month in this regard and apply for consent to assignment of the rights granted by the license or the lease under these rules. Failure to apply for this consent may lead to a revocation of the lease/licence. 3.2 Are there any change of control restrictions applicable? (1) Only the Licensing Authority may approve a transfer of, or a cession or assignment of rights of interest to or in, a mineral title, or the joining of a person as a joint holder of a mineral title or of rights or interests to or in a mineral title. There is a clear restriction on transfer and change of control on reconnaissance and exploration licences (during the first 2 years in particular). Also while assignments of mining rights subject to approval from the licensing authority, subletting the area for mining to third parties (R.170 of the Mining ‘Rules’) is forbidden as it can cause a change of control of the lease. 3.3 Are there requirements for ownership by indigenous persons or entities? In Pakistan, indigenous peoples are the various tribal groups. Those will Pakistani nationality should not have problems in getting a competitive response from the auction of leases by the provincial governments. Pakistan does not have any national mineral policy provisions on indigenous and tribal peoples including those residing in Federally Administered Tribal Areas (FATA) and Provincially Administrative Tribal Areas (PATA). While Pakistan is signatory to the ILO Convention 107 on Indigenous and Tribal Populations since 1960 it has so far not signed the ILO Convention 169 on indigenous and tribal peoples. 3.4 Does the State have free carry rights or options to acquire shareholdings? Under the ‘Rules’ however the provincial Government shall at all times have the right of pre-emption of the minerals lying upon the land in respect of which a license or a lease has been granted, or elsewhere under the control of the licensee or the lessee given that a fair market price for all minerals taken in pre-emption shall be paid to the licensee or the lessee. 3.5 Are there restrictions on the nature of a legal entity holding rights? There are no such restrictions. Any individual and sole proprietorship, company or partnership, as long as they are incorporated in Pakistan, is legally able to acquire mining rights. Also under the rule of reciprocity contained in the “Rules” a license or a lease shall not be granted to, or held by, any person who is or becomes controlled directly or indirectly by a national of, or by a Company incorporated in, any country the laws and customs of which do not permit subjects of Pakistan or companies incorporated in Pakistan to acquire, hold and operate mining concessions on conditions which, in the opinion of Government, are reasonably comparable with conditions upon which such rights are granted to nationals of that country in Pakistan. 4.1 Are there special regulatory provisions relating to processing and further beneficiation of mined minerals? There are no such legal provisions but recent experience with the Reko Diq case suggests that in the future the state policies may be tilted towards provisions such as requiring the smelting of metals mined like gold and copper in Pakistan (for the purposes of job creation) instead of sending it abroad for processing. 4.2 Are there restrictions on the export of minerals? There is no clear-cut legal restriction on the export of minerals subject to proper excise and tax payments by the entity carrying out the operations. Reconnaissance rights cannot be transferred. Exploration rights can be transferred but only after 2 years (possibly after a renewal). Mining rights can however be transferred subject to the legal requirements pertaining to foreigners and notification to the relevant Licencing authorities regarding transfers and assignments of titles. 5.2 Are the rights to conduct reconnaissance, exploration and mining capable of being mortgaged to raise finance? Reconnaissance rights cannot be mortgaged. Mining rights (Mining Lease and Licences) and exploration licences (but no transfer of an exploration license shall be permissible before completion of two years of the issuance of the license) can, by nature, be easily mortgaged to raise finance. However complications can arise where in a situation where the lessee wants to surrender the lease or licence. In such a case if the lease has been mortgaged or charged in favour of a financing institution, the licensee or the lessee shall not be entitled to surrender the lease in whole or in part, except with prior approval in writing of the Licensing Authority. The owner of a mining lease or licence can sub-contract the technical mining activities to third parties or enter into partnerships with other legal entities (subcontract but not sublet, see for example rule 170 of the KPK mining concession rules), but that individual or corporate entity it remains the sole owner of the licence, with all its rights and obligations. Also, during an assignment a lessee cannot divide the leased area between the partner and the partners, as the case may be, with prior approval of Licensing Authority. Under the ‘Rules’, more than one license or lease may be granted to the same person. In the situation where, particularly in the case of two different minerals being inter-bedded or closely located, the Licensing Authority has the power to direct the licensee or lessee as a compulsion to get the grant of second mineral for systematic mining operation and utilization of mineral resource, within three (3) months failing which the main lease/license may be cancelled. 6.3 Is the holder of a primary mineral entitled to explore or mine for secondary minerals? The Licensing Authority has the power to grant one mineral over one area to a person. However, in case of discovery of another mineral over the same area, the right of acceptance or refusal for the grant of second mineral would be offered to the licensee within a specified period, which if refused may mean that after the Licensing Authority has deleted any viable portion of the area containing the other mineral for grant to the other person, or grant a mineral title over the same area for the other mineral or mines in favour in any other person. Yes, but this can only be done (especially when a new discovery is made) by making a fresh application to the licencing authority for permission to exploit those residue deposits. The government has a pre-emptive right to purchase these deposits. Under the Pakistan Offshore Petroleum (Exploration and Production) Rules, 2003 the rights to explore and mine can be granted apart from petroleum rights offshore. So basically two different licences can exist one for petroleum and one for minerals in the same area. The authority in charge in this case is the Federal and not the Provincial governments. 7.1 What are the rights of the holder of a right to conduct reconnaissance, exploration or mining to use the surface of land? As per the “Rules” the rights of the holder of a mining lease or exploring licence give them the right to enter and occupy the surface land which comprises the exploration area for the purpose of carrying out exploration operations, subject to the rights of surface holder. This also includes the right to take and divert water on or flowing through such land and use it for any purpose necessary for exploration operations subject to and in accordance with the provisions of law for the time being in force. The ‘Rules’ confer the right for the erection or construction of ancillary works, in the reconnaissance area as may be reasonably necessary. Under the Exploration licence or the Mining lease, there is an entitlement to carry on such other operations, including the erection or construction of ancillary works on the surface land, as may be reasonably necessary for, or in connection with, the mining or exploration operations, removal, selling or disposal of the same. Under the provincial “Rules” the holder of a mineral title is not allowed to carry on exploration or mining operations at or upon any point within a distance of fifty meters from the boundary of the exploration area with permission. The same rule applies while working close to a railway line, reservoir, canal or other public works or when building or carrying out surface mining operations near public places. Notice must be give to the licensing authority at least a month in advance regarding occupying, clearing and preparing any land, for mining purposes. Reasonable compensation to the local population may also have to be paid in the form of indemnification to the local authority, against third party claims for damage, injury or disturbance. Also, Under the ‘Rules’ a licensee or a lessee shall allow existing and future license or lease holders of any area which is comprised in or adjoins or is reached by the land held by the licensee or the lessee all reasonable facilities of surface or underground access thereto, on the terms and conditions as may be determined by the Licensing Authority. The Foreign Private Investment (Promotion and Protection) Act, 1976 guarantees that a foreign investor in an industrial undertaking may at any time repatriate capital and profits. Both (i) and (ii) apply to the mining sector and its operations. Reko Diq was a one-of-its kind investor state dispute, which had a unique judgement given. 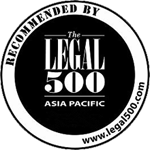 Additionally, the Recognition and Enforcement (Arbitration Agreements and Foreign Arbitral Awards) Act 2011, which gives effect to the Convention on the Recognition and Enforcement of Foreign Arbitral Awards (New York Convention) 1958 was passed with the aim of providing security to foreign investors. Interestingly enough, it was held not to apply to the Reko Diq scenario by Supreme Court. The lessee or Licencee is entitled to take clear measures to prevent damage to the environment, and where some adverse impact on the environment is unavoidable, take measures to minimize such impact. No mineral title can be granted unless the application is accompanied by an environmental impact assessment in terms of the Environmental Protection Act, 1997, and shall identify the extent of any adverse effect which the plan for development and operation of the mine and the carrying out of the programme of proposed mining operations would be likely to have on the environment and on any monument or relic in the area over which the lease is required, and proposals for eliminating or controlling that effect. In addition to this there is a requirement on behalf of the application to present valid proposals to the licensing authority for the prevention of pollution, the treatment and disposal of wastes, the safeguarding, reclamation and rehabilitation of land disturbed by mining operations, the protection of rivers and other sources of water and for monitoring and managing of any adverse effect of mining operations on the environment. The Lessee or Licencee also contains special provisions under the ‘Rules’ for the handling of reserved and protected forests during their operations. 8.2 What provisions need to be made for the closure of mines? As per the ‘Rules’, the licencing authority has to be notified regarding the closure of a mine. This closure may be based on a voluntary termination of the duration of the lease, a blacklisting or the refusal of the Authority to renew the lease. At this point the lessee must return the premises in a proper condition, dealing with the buildings and structures on surface at their own expense. Any security deposits to the Authority will only be refundable when any outstanding dues as well as damages to the site are accounted for. At the expiry, surrender or determination of a license or a lease, the licensee or the lessee, as the case may be, is obligated to deliver to the Licensing Authority the demised premises and all mines in a proper and workable state save in respect of any working as to which the Licensing Authority may have earlier sanctioned abandonment in which case he shall securely plug any bores and fill up or fence any holes or excavations that he may have made in the land to such extent as the Licensing Authority may require. The lessee or the licensee is also required to restore the surface of the land and buildings and other structures not belonging to him, which he may have damaged in the course of prospecting or mining. 8.4 Are there any zoning requirements applicable? The licence authority has the right to demarcate and create safety zones in relation to structures erected on land to which the mineral title relates. The lessee is also forbidden during surface operations from damaging trees, the environment, road structure, public areas (mosques or parks etc. ), agricultural land and any reserved or protected forest parts. Yes, it entitles the holder of the surface rights (whether private or state-owned) to a rent deemed ‘reasonable’ under the ‘rules’. It also places upon the lessee the obligation to either pay the surface owners for environmental damage or inconvenient rendered during the operations. Furthermore it also gives an option to the lessee to acquire land from the surface owners under the Land Acquisition Act, 1894 (Act No. 1 of 1894). Ss-17 to 22 of the Mines Act 1923 governs health and safety in the mining sector. A new Mines Safety Act, Minerals Act and Illegal Mining Measures Act with specific application to the Khyberpakhtunwa province is expected in 2014 depending on approval from the parliament. Many basic agendas for health and safety have already been discussed in the recently launched KPK Mineral Policy 2014. The “Rules” denote a clear obligation upon the owners, mining lessees and the mining officials to keep a tack of health and safety violations on a mining site. The Licensing authority has the power to carry out routine inspections and levy fines any of such violations. On a provincial level this power to maintain and register titles belongs to the Director General of Mines and Minerals. On the Federal level the power is vested with the Federal DG Petroleum and Natural Resources. Under the “Rules”, any person who is aggrieved by a decision, direction or order of an authorized officer made under this rule may appeal in writing to the Licensing Authority which shall, as soon as practicable, hear and dispose of the appeal. Licensing Authority has the power to rescind or affirm the decision, direction or order appealed against or may make a fresh decision, direction or order and that decision, direction or order shall be final. If a person is aggrieved by an order of the Licensing Authority passed under these rules, he may, within thirty days of the communication of the impugned order and payment of such fee as may, from time to time, be specified, by Government, prefer an appeal to Government. The decision of Government on such appeal shall be final. As far as a matter of ‘Black-listing’ is concerned, if a person is aggrieved by an order of the Licensing Authority passed under this chapter, he may, within thirty days of the communication of the impugned order prefer an appeal to the Director General. 12.1 Is there a constitution, which has an impact upon rights to conduct reconnaissance, exploration and mining? Under the Constitution of Islamic Republic of Pakistan provinces have been given autonomy to set their respective policies and regulatory framework as a result of which Concession “Rules” for each province are in place. In line with Constitution Article -172 (2) and 172 (3) as amended by the 18th amendment in 2010, the Federal and Provincial Governments also jointly the National Mineral Policy(s) which came out in 1995 and 2003.The basis of this document also emanates from the Constitutional position as laid down in Articles 70 & 97. 12.2 Are there any State investment treaties, which are applicable? There are no BITs (Bilateral Treaties) currently applicable specifically to the mining sector. However Pakistan has bilateral investment treaties with 47 countries and one such BIT was the subject of controversy during the recent Reko Diq saga. in the form of Minimum Corporate Tax. Relief is allowed from taxation on refining or concentration of mineral deposits, development and pre-commencement expenditure. Ring Fencing means that mining company will be assessed for income tax on the entirety of its mining operations in Pakistan. The Double Taxation provisions apply here especially in terms of taxing dividends and withholding tax provisions apply to non-resident contractors. A tax @ 15% shall be deducted from the gross amount paid to a non-resident person on account of royalty and fee for technical services. Mining companies are subject to Sales Tax, Additional Profits Tax (APT) and a Resource Rent Tax (RRT) Rate based on the profitability levels. Foreign companies and their non-Muslim stakeholders are exempt from Zakat. Depending on its organizational size the mining entity may be liable to contribute towards the Workers Profit Participation Fund (WPPF), Workers Welfare Fund (WWF), Workers Children Education Cess, Employees’ Social Security Contribution, Employees’ Old-Age Benefits. There is also an Excise Duty levied on Minerals as well as to the Surface Rent & Compensation. There is tax relief available on importing mining machinery and industrial raw materials for the Pakistani Mining Companies and the Mineral industry generally. Yes and the details of such royalties payable to the state are contained in rule 65 of the “Rules” .In the case of minerals other than base metals or coal for example, the royalty is to be determined based on the fair market value of the mineral or group of minerals. The most recent of these documents is the KPK Mineral Policy 2014 launched on the 7th of July 2014.The National Mineral Policy 2013 is already in force and is the successor to the National Mineral Policy 1995.All these policies are aimed at promoting better institutional stability, environmental concerns, better treatment for foreign investors and finally better health and safety frameworks. 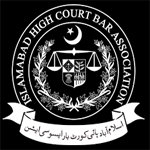 Worth mentioning here is the Recognition and Enforcement (Arbitration Agreements and Foreign Arbitral Awards) Act 2011, which gives domestic effect to the Convention on the Recognition and Enforcement of Foreign Arbitral Awards (New York Convention) 1958 to which Pakistan was already a signatory. 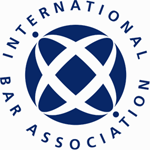 It is being said that which makes the recognition and enforcement of foreign arbitral awards in Pakistan relatively easier than it ever was before. However after the Reko Diq case it has become clear that the interpretation of what qualifies as a ‘foreign award’ may cause many problems for investors in the future, particularly in the mining sector. The Josh and Mak team shines at the Annual POGEE (Pakistan Oil Gas & Energy Exhibition & Conference (POGEE) 2013) Conference in Lahore, Pakistan.